If you believe, as we do, that it is time to break the Washington Cartel’s grip on the national Republican Party, and to nominate and elect a conservative outsider as President, yesterday’s Republican presidential primary was good news. But if you want to break the Washington Cartel’s grip on power, and its outsized influence over the Republican Party, yesterday’s presidential primary wasn’t the most important election. Wisconsin’s most important election is the coming August 9 Republican Primary in which conservative entrepreneur Paul Nehlen is taking on Speaker of the House Paul Ryan in Wisconsin’s Fist Congressional District. Yes, it was good news that conservative outsider Ted Cruz won Wisconsin with a substantial plurality of the vote – 48.3 percent according to the national wires – thereby defeating populist Donald Trump by more than 13 points and establishment Republican John Kasich by more than 34 points. But it was even better news that together the two outsiders – Cruz and Trump – booked over 83 percent of the vote. And it was better news yet that in Wisconsin’s First Congressional District, now occupied by Ryan, those same percentages for the outsiders held. But the best news yet was that Ryan’s opponent, conservative outsider Paul Nehlen, grasped what those numbers mean for his own race and began pounding Ryan as the landslide for the outsiders was tallied up. Nehlen responded to the establishment Republican tweetfest around the hashtag #NeverTrump with a hashtag of his own -- #NeverRyan. “I’m focused like a laser on this district—on the concerns of the people who live and work here. Paul Ryan hasn’t been focused on his constituents for a very long time. In fact, he’s working in direct opposition to our concerns on manufacturing and trade, on immigration, on budgets and spending, and more. He’s angling for a promotion. But what on earth has he done to merit one? If the GOP gives Ryan the presidential nomination at the national convention, I could never vote for him,” concluded Nehlen. And Paul Nehlen isn’t alone in that feeling of betrayal. The exit polls show that seven out of ten Wisconsin GOP voters support a plan to temporarily pause Muslim immigration to America — a proposal which has been repeatedly denounced by Paul Ryan. The three top issues in CNN’s Wisconsin exit poll were jobs/the economy, terrorism and government spending, and those are all issues on which Paul Ryan has betrayed Wisconsin’s Republican voters and the First Congressional District over and over and over again. While Paul Ryan is not-so-subtly positioning himself to run for President at a contested Republican National Convention his rival in the August 9 Republican congressional primary, Paul Nehlen, has his eye on the real key to change in Washington – defeating the Speaker for re-election to Congress. Conservatives and populists can come away from yesterday’s Wisconsin Republican presidential primary gratified that outsiders Ted Cruz and Donald Trump booked over 83 percent of the Republican vote – but the work for change in Washington is not yet complete. The most important vote for Wisconsin conservatives and populists was not counted last night. It is the coming August 9 Republican congressional primary. Until Paul Ryan is defeated, and Paul Nehlen nominated and elected, the Washington Cartel will remain firmly in control of the US House of Representatives. To learn more about principled limited government constitutional conservative congressional candidate Paul Nehlen and his campaign to defeat Speaker Ryan click this link. Submitted by jon exner on Wed, 04/06/2016 - 12:55. Let's look at this way. john boehner was finally run out of the Speaker of the House, he saw the handwriting on the wall and resigned from the House as well. ryan steps in and gives some very strong speeches on fighting president obama and then turns right around and was instrumental in passing a budget that funds every illegal/unconstitutional executive order that obama made. If that wasn't insulting enough john boehner shows up and begins the talk that maybe paul ryan should be the Republican nominee for President of the United States of America. If this is not the most outrageously absurd notion I don't know what is. Nominating someone who has not even put himself up to the voters during the primaries across the country. Let's hope that paul ryan does the honorable thing and joins john boehner as an ex member of the House of Representatives. 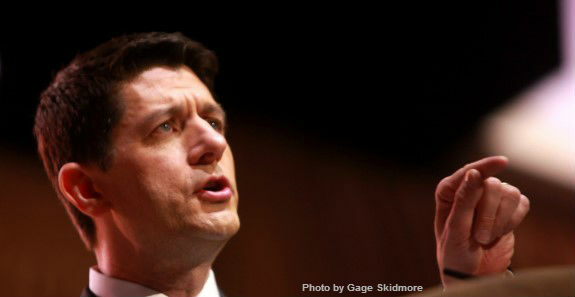 It is time for paul ryan to go.